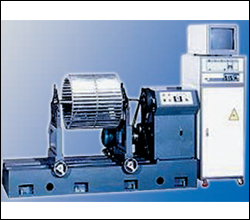 ZENITH leads in design manufacture and supply of state of the art Digital Microprocessor- Based Dynamic Balancing Machines. Size Of Roll Dia. X Length Line Speed Per Minute ( App.) in Mtrs. Machine Configuration One Plane and Two Plane Options, Horizontal end driven. Minimum Readable Unbalance 0.1 mmg onwards. Power Control 220 V, 1 Ph, 50 hz, Stablized.